E-commerce giant Amazon made news a few weeks ago for executing a marketing tactic that’s more than a century old: The company mailed out a catalog. A paper catalog. Delivered via the U.S. Postal Service. Just like Sears, Roebuck & Company circa 1893. 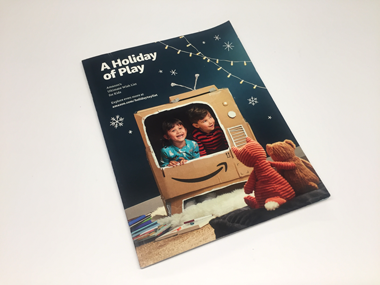 “A Holiday of Play,” a toy catalog, was reportedly mailed to millions of Amazon customers. It was a surprising, and brilliant, move by Jeff Bezos and company. 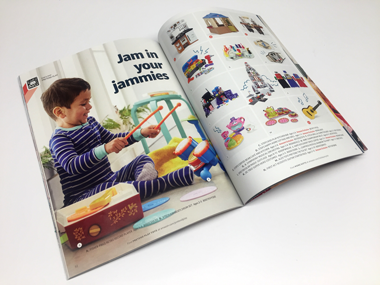 In addition to generating a lot of buzz, the catalog provides the massive retailer with the opportunity to deliver a fresh experience to its customers: paper in hand. And, in 2018, paper in hand can be breakthrough marketing. Consumers receive so much email and so many electronic pitches today, that it no longer commands their attention. Now it’s a catalog in the mailbox that’s interesting — even newsworthy. You can find great marketing inspiration in the past. Often what’s old can be made new again. When everyone chooses to zig, it’s time to consider zagging. If you’re closely associated with one medium, consider shaking things up by making an appearance in another. Follow the Amazon example. Deliver an unexpected and refreshing experience to your customers and prospects via direct mail. Contact us at Digital Dog Direct about how to make it happen.